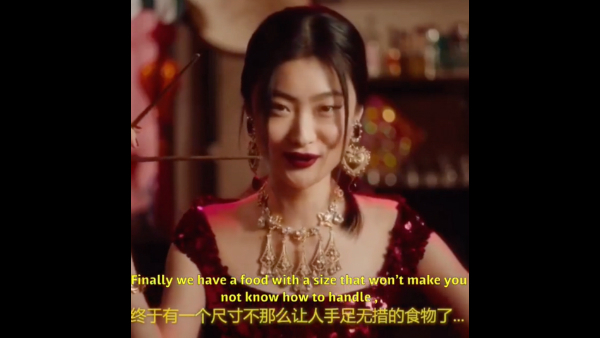 Dolce & Gabbana had an unfortunate 2018 following the launch of a campaign in China that was labeled “racist.” The ads, created to mimic instructional videos, centered on a young Chinese female who was being educated on how to eat Italian specialties like cannoli, pizza and pasta using chopsticks. The model, Zuo Ye, has since expressed remorse for her involvement in the commercials. D&G’s controversial campaign, ‘DG Loves China’, was disparaged by people around the world for being condescending not only to China, but also women. As a result of the backlash, customers, celebrities, and retailers alike have boycotted the brand. D&G was also forced to cancel what would be its largest fashion show ever, and its founders apologized for causing hurt to consumers. A couple of months after the branding debacle, Chinese model Zuo Ye took to Chinese social network Weibo to apologize for participating in the campaign. Zuo, who recently graduated from South China Agricultural University, said she was “very guilty and ashamed” about the controversy. Zuo said she had remained silent amid the uproar, as she was not a public figure and did not want to add fuel to the fire. She had agreed to working with D&G in the campaign, thinking that being featured an internationally-renowned would help advance her career. Unfortunately, the partnership “almost completely ruined” it. Zuo also stressed that she was told she would perform in a “fun video” about Italian cuisine in her brief. In the three-hour shoot, the adverts’ director had instructed her in English to express surprise, bewilderment and appreciation of the food items placed in front of her. Zuo recalled feeling “awkward” during the filming process. She also questioned the choice of “larger than normal” chopsticks used in the shoot, but said she was told to just follow the script. She added that she could not watch the adverts in their entirety, nor comment on them, before their release as she was a just a regular model. You can watch one of the offending videos, captioned by fashion Instagrammer Diet Prada, below.